Pro+ is a new high-quality nutritional supplement and protein source that improves pig and sow performance. It contains key nutrients including digestible sources of peptides, amino acids and trace minerals. 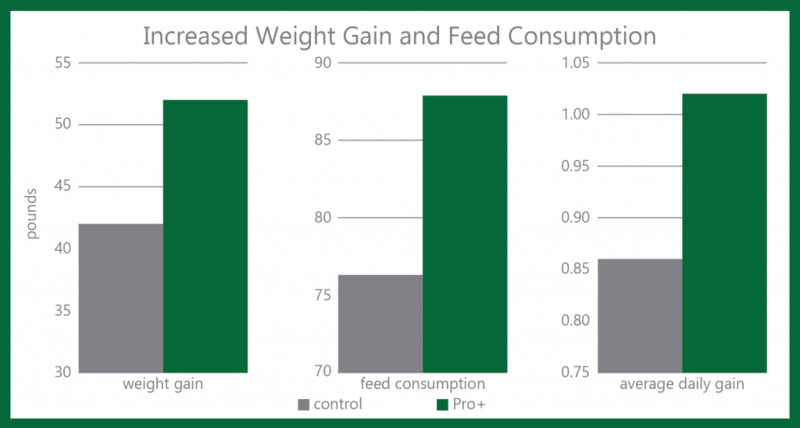 When incorporated into a balanced diet, Pro+ drives feed intake, leading to optimal growth, condition and health. Pro+ was developed as a protein source for all animal diets, including livestock, fish, and companion animals. Pro+ includes a consistent source of essential amino acids, providing added value to a diverse group of end users. Naturally-raised weanling pigs whose diets contained Pro+ ate more feed and gained more weight compared to the control group in our field trials, which lasted 49-51 days. For more information please visit our product page here. Our employees are trained and frequently updated on principles of HACCP and current Good Manufacturing Practices (cGMPs) to ensure proper actions and knowledge are used on the job..
We conduct supplier visits regularly to ensure proper quality systems are in place and up-to-date. These visits not only give us the necessary information to properly conduct our business, it also gives our customers the confidence they deserve when partnering with GPP. We regularly test our raw and finished products for Heavy Metals, Dioxins, GMOs, and pathogens. Frequent product analysis helps us verify our quality system and monitoring programs are functioning appropriately. GPP is committed to providing safe, quality products and services that continually meet or exceed customer expectations and regulatory requirements.